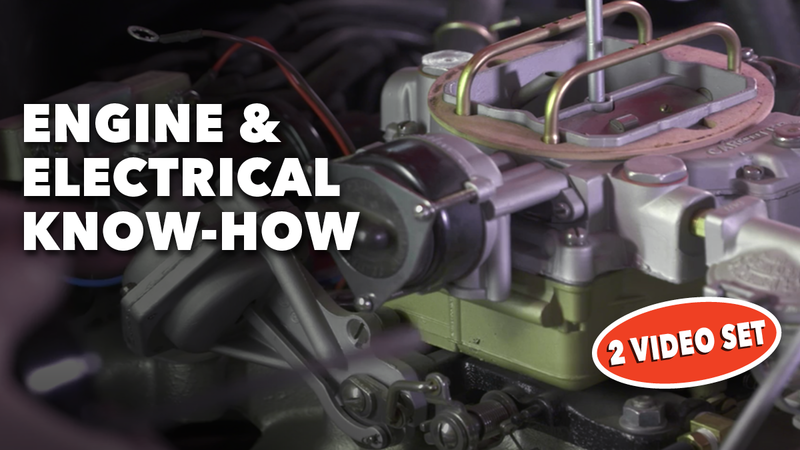 Encountering engine and electrical issues on a classic car is simply a fact of life, but knowing how to deal with them is key in getting your ride back on the road. In this set of two videos, we’ll explore those aspects that are often overlooked until problems occur. Many components on classic cars simply don’t function the same as modern cars and often require routine maintenance. Join Mark Simpson as he details how to replace points in a distributor, how to set the gap and time the engine. 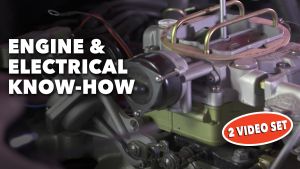 You’ll also discover how to install a electric choke conversion, install stapled seals, repair horns, properly charge batteries, repair wiper motors, install battery disconnects and much more including many great tips. Keep your classic car on the road with this instruction, featuring 2 hours of total instruction. Proving that more can go wrong with a car sitting still than when it is driven regularly, components like wiper motors and horns can simply stop working. 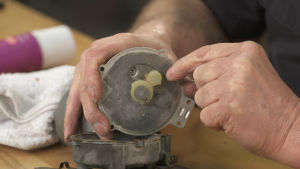 Mark Simpson disassembles a non-functioning wiper motor and horn to determine why they stopped working, then cleans, inspects, lubricates, adjusts and tests these components, bringing them back to life. Having light bulbs or even LED light bulbs suddenly stop working on your classic car can be frustrating. Often the culprit is corrosion in the bulb sockets themselves. 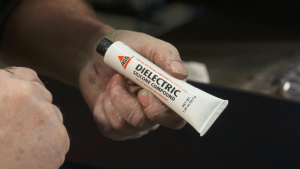 Turn signal lights, side marker lights, taillights, and even headlights can commonly fail due to corrosion. Stop these problems before they occur with the use of dielectric grease that keeps moisture and corrosion out. Batteries can drain down when not used regularly or when at your local car show and your car sits with the doors or trunk open for extended times. The best insurance you can have is a battery disconnect, as not only does it prevent battery drain down it also serves as a fire and theft deterrent when your car is stored in the shop. 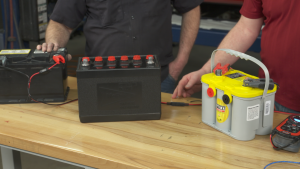 Simpson discusses several battery disconnects available and installs one in our project car. Automotive battery technology continues to evolve, and the processes many of us have used to charge, re-charge and maintain our batteries have changed as well. 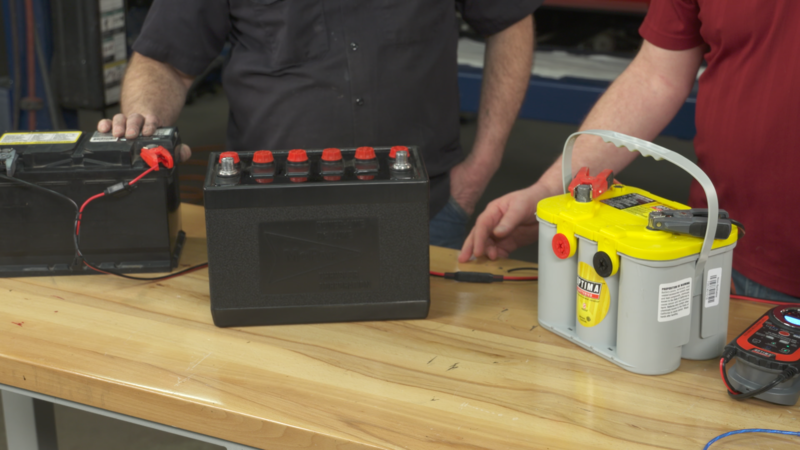 Scott Parkhurst joins Mark Simpson as they examine how batteries and battery chargers have changed. They’ll also discuss the pros and cons of Flooded, Gel and AGM batteries, and considerations you make when selecting one for your classic car.